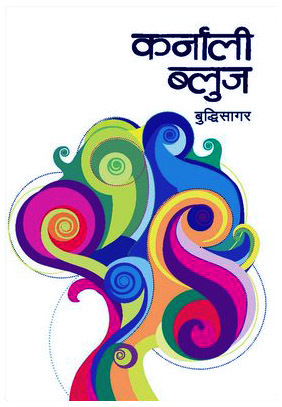 Karnali Blues written by Buddhisagar is one of the good Nepali Novel. Listen and download Nepali Novel Karnali Blues on the voice of Achyut. This Nepali Novel Karnali Blues is in Audio Version from the radio program Shruti Sambeg. Listen Karnali Blues or Download Nepali Novel. Listen full episodes of Karnali Blues. 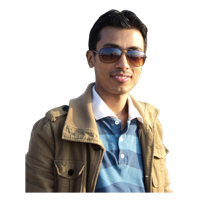 Bishal Poudel Jee Thanks for your enthusiasm on the Nepali Novel Karnali blues by Buddhi Sagar, As this novel is form weekly radio program parts of the novel only can be upload in the time span.... Hope you consider the constrain of our blog.. I hope today epesode 11 will also be uploaded. I am greatly waiting for that. and May humbly requested you please upload the Nobel Jiwan Kada Ki phul of Jhamak Ghimire in down version. I hope you will listen request. Thanks for your valuable comment. Jeevan kada ki phool is already in this blog. You can find them in the listen Shruti Sambeg section or in Shruti sambeg section at right side.. Beside you can find them in Nepali Novel section..
plz 16 eppisode pani upload garidinu na m dying so listen to it! 17th episode kaile aauchha,, I am crazy to listen it.... fast na !! episode 17 radio ma prasarit bhayeko aaja 8 days bhaisako,chito upload garnu hune6 bhanne aasha rakheko 6u! btw,many many thanks for all the uploads,keep up your good work! Eppisode 1 download garda kina 16 download hunxa. Plz help me. Thank You for your valuable comments.. Today I Have linked all the Episodes of Nepali Novel Karnali Blues by Buddhi Sagar. Please listen Karnali Blues. Please feel free to comment our blog. Suyash Gautam jee Shruti sambeg bata prasarit bhayeko Nepali Novel Karnali blues ko 17 episode sunna milcha but spam ko problem le garda ahile download garna mildaina. problem will be solved soon. Finally thank you to all who commented on the post. Download link for Karnali Bluse 17th Episode is not correct. Can you correct the link? hi admin ji I cant download the last episode. please tell me it is nt being download !!!!!!!!!! 17th episode downlaod link is broken please make the correction. Great regional Novel! Many thanks to The novelist! superb! fantastic! great work! it worths my hours. Problem on downloading the episode 8,17 and 18 .Please maintain it. Thank you Sundar ji for your valuable comment on karnali blues Nepali Novel. Now the problem is solved. Please feel free to comment about us. Episode 1 nai download vayena plz fix it!! Episode 10 is not found plz upload Episode 10. Thank you Bijay Jee for your valuable comment. Now the problem is solved. Thank You for your valuable information and comment on Nepali Novel Karnali Blues. Thank You Bibek Rai, Bijay Pokharel, Nirajan, Sundar Shrestha, Yubraj Banjade, Rakesh Kumar Nepal, Arjun Adhikari for valuable Comments. Now the problems on the episodes are solved.